1997 Mountain Cycle MOHO STS - a story of giving this fascinating MTB a new lease of life! 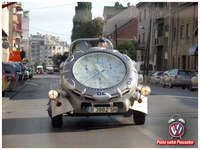 Created on 08 Mar 2010, last changed on 08 Sep 2010. This album contains 68 items. This album has been viewed 25589 times since 08 Mar 2010. 1993 Peugeot 205 GTI 1.9 - my daydream coming true at long last! Created on 20 Oct 2012, last changed on 30 Dec 2014. This album contains 90 items. This album has been viewed 30718 times since 20 Oct 2012. 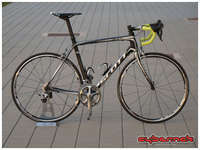 2011/2013 Scott CR1 Pro HMF - my new road racing bike build and rides story. Created on 16 May 2013, last changed on 25 Dec 2014. This album contains 160 items. This album has been viewed 23360 times since 16 May 2013. 2003 Peugeot 307 Break - customised to suit my vision of what it was supposed to look and perform like. Created on 14 Sep 2009, last changed on 05 Jan 2014. This album contains 218 items. This album has been viewed 139042 times since 14 Sep 2009. Created on 17 Oct 2013, last changed on 06 Jan 2015. This album contains 1084 items. This album has been viewed 2487 times since 17 Oct 2013. A voyage into the seductive world of vintage road and mountain bikes. Created on 27 Sep 2014, last changed on 29 May 2016. This album contains 25 items. This album has been viewed 3089 times since 27 Sep 2014. 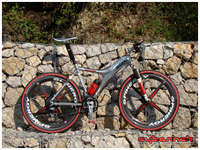 My MTB & road bicycle groupsets collection. Created on 28 Nov 2015, last changed on 28 Nov 2015. This album is empty. This album has been viewed 1353 times since 28 Nov 2015. 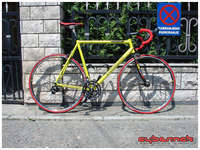 2006 Kovjanic Custom - my road bike build and ride stories. Created on 14 Dec 2009, last changed on 20 Jun 2013. This album contains 187 items. This album has been viewed 35287 times since 14 Dec 2009. 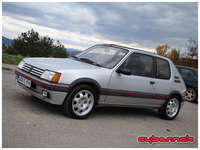 1989/1991 Peugeot 205 GTI - a trip back to the past. Created on 24 Nov 2009, last changed on 31 Oct 2015. This album contains 44 items. This album has been viewed 29531 times since 24 Nov 2009. 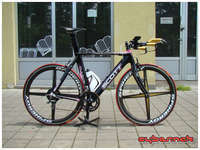 2008/2011 Scott Plasma custom TT bike build. Created on 15 Oct 2011, last changed on 11 Jul 2013. This album contains 102 items. This album has been viewed 17435 times since 15 Oct 2011.